Designated Survivor has some new company. 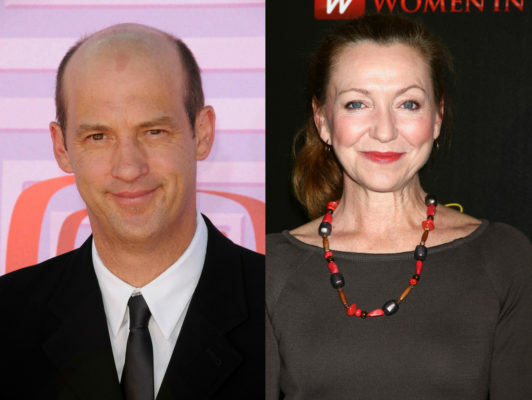 Deadline reports Anthony Edwards and Julie White have joined the Netflix revival for season three. As reported earlier, the streaming service had picked up the political drama after it was cancelled by ABC. The series stars Kiefer Sutherland as Tom Kirkman, a low-level Cabinet member who becomes President of the United States after a major attack on the capital. Meanwhile, White has been cast as Lorraine Zimmer, the President’s bold, new campaign manager. Season three of Designated Survivor is slated to debut on Netflix in 2019. What do you think? Are you a fan of Designated Survivor? Will you watch season three? More about: Designated Survivor, Designated Survivor: canceled or renewed?, Netflix TV shows: canceled or renewed? Absolutely! There are many more stories to fill at least 3 more seasons. We’re hooked, can’t wait for season 3. Absolutely cannot wait for season 3, hoping some unanswered questions will be resolved and the new season will be as thrilling as the first two ! Absolutely!!! One of the best shows to come along in a few years!!! Love Keifer Sutherland since 24 days. Will always be a fan – can hardly wait for season 3 to come next year!!! My husband and I have watched this show from day one! We love it and was not happy when it had been cancelled. We were glad a smart network picked it up! It has great actors and storylines! Keep it coming and we’ll keep watching! Yes – can’t wait. Love this show!!!! Yes I do, so happy it’s been picked up. Love Anthony Edwards too. I would watch it on Netflix myself!